8/14/14-I really need to take the time to update this article properly. But since I have just reposted this story online, let me at least remind us of this little beauty (I mean besides the fact that Obama seems find to seal the fate of Christians in Iraq by doing practically NOTHING to stop their genocide) we are the nation whose current President decided to leave out the words "under God" when reciting the Gettysburg Address. Coincidence? THIS IS A NATIONAL SECURITY ALERT- NO DRAMA INTENDED! Several news articles have come out since I originally posted this story that confirms EVEN MORE that Barack Hussein Obama is indeed a Muslim. 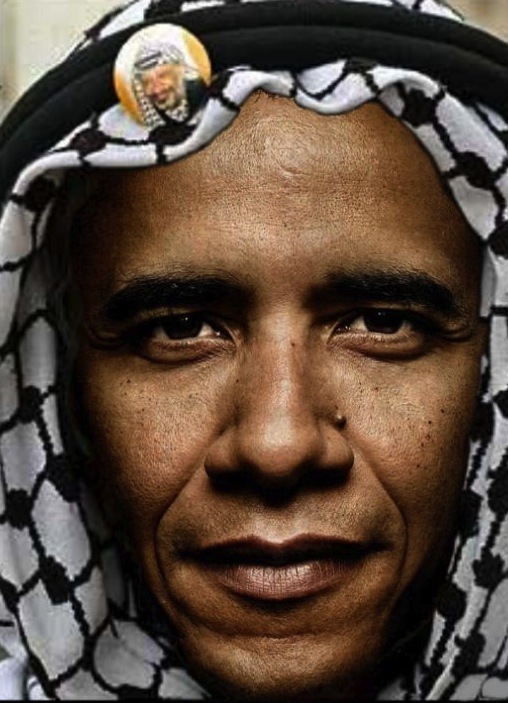 If we take the blinders off of our eyes, it is not hard to assess that he is a "Radical" Muslim practicing "Stealth Jihad" in and on America. I don't say this lightly, but with a reliance on what I believe is more than just coincidences or fanciful thinking on anyone's part. Here are a few links to some of the stories I am referring to- for your further consideration. The Obama campaign’s repeated insistence that the president is a Christian is having little impact in two Southern states where a new poll indicates about half of the likely GOP primary voters believe he’s a Muslim. Skeptics have pointed to his Muslim father and step-father, his Islamic training in Indonesia and his statements that America is no longer a “Christian nation” and can be considered one of the largest Muslim nations. The White House and the Obama campaign, meanwhile, officially have maintained Obama is Christian, sometimes citing his membership in the Chicago church of radical preacher Jeremiah Wright. No matter to those polled by Public Policy Polling. The survey of 600 likely Alabama Republican primary voters found a full 14 percent believe Obama to be Christian. But 45 percent said he is Muslim and another 41 percent said they are unsure. The same question presented to 686 likely Mississippi Republican primary voters found 12 percent believe Obama to be Christian. But 52 percent say he is Muslim and another 36 percent were uncertain. Religious beliefs have become a 2012 campaign issue, perhaps partly because of GOP candidate Mitt Romney’s Mormon faith. But that less-than-hearty endorsement of Obama’s beliefs set off a firestorm of criticism of Graham. Among the issues stirring the controversy has been the Obama administration’s demand that Catholic and evangelical Christian employers – against church doctrine and personal religious beliefs – pay for their employees’ birth control, including chemicals that are considered abortifacients. Obama also has helped advance the aims of homosexual activists, in defiance of Christian teaching. Just days ago, faith and American freedom historian David Barton of WallBuilders documented 50 anti-Christian and anti-Jewish actions Obama has taken since assuming office. Barton suggests his list – which includes links to stories from NBC, WND, the Los Angeles Times, Christianity Today and dozens of sources – demonstrates a pattern of “disrespectful and appalling treatment” toward anyone who holds to biblical values. Oct. 19, 2010 – Obama begins deliberately omitting the phrase about “the Creator” when quoting the Declaration of Independence – an omission he has made on no less than seven occasions. January 2011 – After a federal law was passed to transfer a World War I memorial in the Mojave Desert to private ownership, the U. S. Supreme Court ruled that the cross in the memorial could continue to stand. But the Obama administration refused to allow the land to be transferred as required by law and refused to allow the cross to be re-erected as ordered by the Court. February 2011 – Obama directs the Justice Department to stop defending the federal Defense of Marriage Act. 2010 – While every White House traditionally issues hundreds of official proclamations and statements on numerous occasions, this White House avoids traditional biblical holidays and events but regularly recognizes major Muslim holidays, as evidenced by its 2010 statements on Ramadan, Eid-ul-Fitr, Hajj and Eid-ul-Adha. Movie and television star and WND columnist Chuck Norris suggested no matter what Obama calls himself, he should be judged by his actions. In a series of commentaries, he explained how Obama is using U.S. Special Envoy Rashad Hussain, his own presidential position and others in his administration to deepen and expand the partnerships between the United States and the religion of Islam. He also detailed Obama’s real spiritual beliefs based upon a rare, in-depth 2004 interview by a religious reporter for a major newspaper, including his beliefs about prayer, sin, heaven, the Bible and the person of Jesus. “As president, why doesn’t he defend the rights of Christians too, especially those whose voice and freedoms have been suppressed because of opposition?” Norris wrote. “Why doesn’t the president stand up for the rights of Christian organizations, whose rights to hire same faith or mission-minded employees are protected under the 1964 Civil Rights Act, the 1993 Religious Freedom Restoration Act and the First Amendment, but are right now having to urge Congress to reject legislation that would prohibit them from hiring only fellow believers? “Why didn’t the president stand up for the rights of the North Carolina pastor who was fired from his duties as an honorary chaplain of the state house of representatives after he closed a prayer “in the name of Jesus”? “Why didn’t the president stand up for the children from the Christian private school who were “abruptly” ordered by a court police officer to stop praying outside the U.S. Supreme Court building? “Why didn’t the president stand up for the rights of those in Utah who erected 14 memorial crosses on highways for state troopers killed in the line of duty, but were told by federal judges they are to come down because they are unconstitutional? “Why didn’t the president himself stand up for the human rights of the Christian missionaries and medical team in Afghanistan, including six Americans, to practice medicine and their faith, even after they were murdered by Islamic extremists? Wouldn’t other medical missionaries in Afghanistan appreciate Obama’s defense more now than ever? “Why didn’t the president stand up for the four missionaries arrested at an Arab festival in Dearborn, Mich., just for exercising their freedom of speech and religion? “Why didn’t the president stand up for the rights of the Rev. Franklin Graham, the son of the Rev. Billy Graham, who was disinvited from a Pentagon prayer service on the National Day of Prayer because of his “extremist” Christian views and values? “Why didn’t the president stand up for the rights of the Christian student who was booted from her graduate counseling program at a public university over her belief and conviction that homosexuality is morally wrong? “Why didn’t the president stand up for the three Christian evangelists who were arrested for sharing the gospel and singing hymns on a public sidewalk outside an Islamic mosque in Philadelphia? “In countless speeches and actions since taking office, Obama has sympathized and supported pro-Islamic ideologies and practice. That is why the New York Times even recently published a multiple-page report on how the “White House quietly courts Muslims in the U.S.,” Norris wrote.